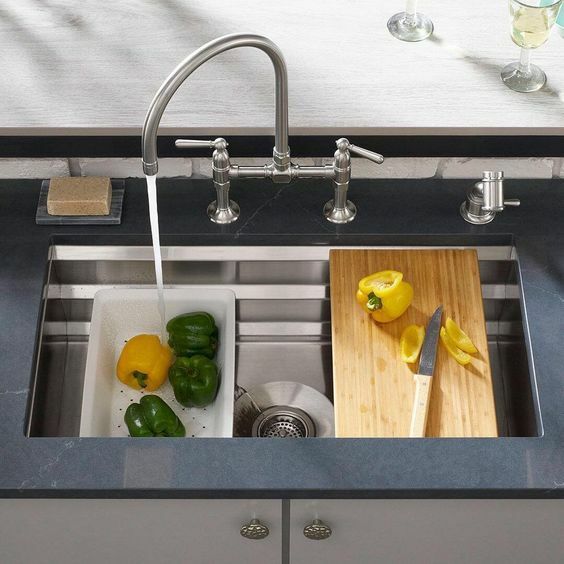 First up is the ever-popular farmhouse (or apron) sink. These sinks aren't meant to fade into the background - so if you don't want your sink to be the standout feature, you might not like this type. Now that you can find double-sink versions more often, these are a really great selection. And I love how deep they are. 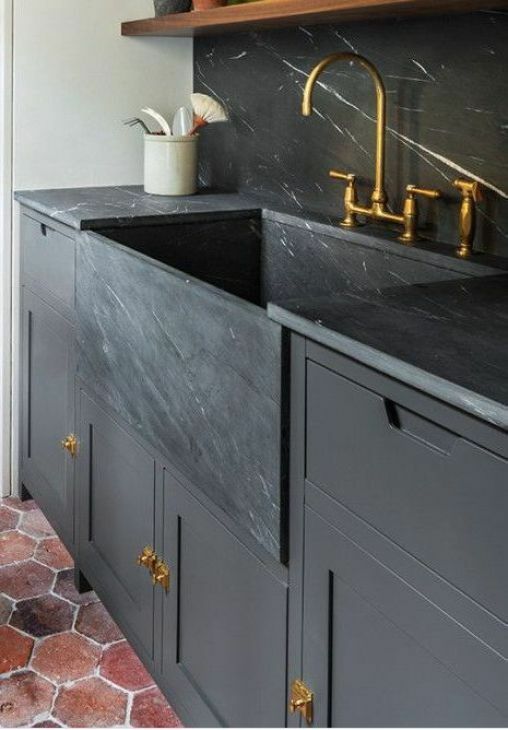 A really unique choice is a soapstone sink like the one above. It has a glamour that just can't be beat. Soapstone really holds up well to heat and to any sort of liquids - it won't let any dampness get past it. But it does have to be oiled, just like soapstone counters, and it can scratch easily, so keep that in mind. The sky is the limit these days on what color your sink has to be! An acrylic sink like this one has beauty of porcelain and the strength of cast iron but it's lighter weight. Just remember that you're making a commitment with color. 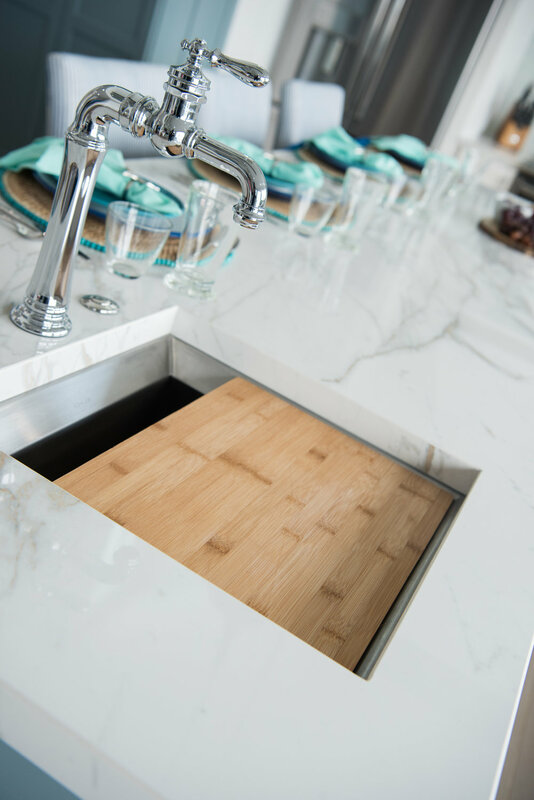 Even the old standby stainless sink has moved into the modern era - now offering farmhouse styling, triple bowls, prep sink additions, and smart details like strainers and cutting boards that fit right into the basin. I used one of the cutting board sinks from Kohler in my Brother vs. Brother project, too (see below)! See more of my favorite sinks and kitchens on my pinboard here!